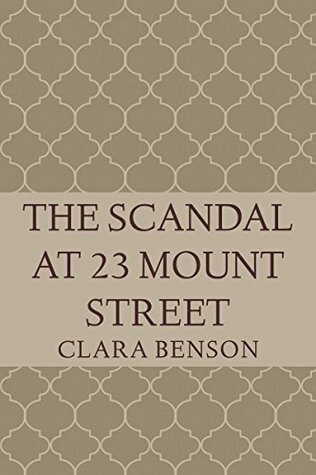 The ninth and penultimate outing in the Angela Marchmont series of murder mysteries set in the twenties is a complete change of pace. After the light-hearted, almost flippant, tone of the last few books, suddenly life takes a very grave turn for Angela, when her past comes back to haunt her and she has a fight for her very life on her hands. The mystery this time isn’t so much in whodunit, which is almost incidental, but how on earth Angela is going to get out of the mess she’s in. I don’t think it’s much of a spoiler if I say that I never doubted that she would get out of it, but even though I guessed something of how it would go, there was a surprise in store at the end. In fact, there were a lot of revelations about the past, although one of them I’d guessed a while back. This wasn’t the riotous entertainment of some of the previous books – the tone was too sombre for that. Angela makes some difficult choices in this book, and the very different plot meant that the writing style felt a little denser than usual. However, the courtroom scenes were very well done, Angela’s friends rose to the occasion splendidly, and the biggest reveal of the lot was suitably dramatic. I can’t honestly say I enjoyed this as much as the earlier books – it was too traumatic for that – but the constant tension kept me on the edge of my seat, I tore through it in record time and I very much liked the way it ended [*], so that’s another five stars and straight on to the tenth and final book in the series. [*] The reported tragedy near the end? Nope. Don’t believe that for one second.